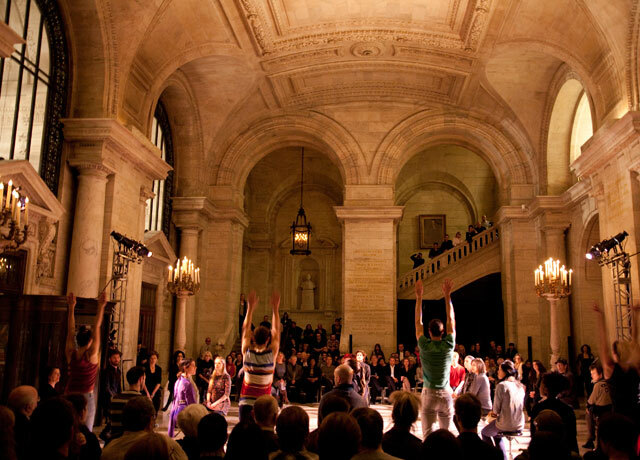 P.O.V.’s premise is to place the audience squarely within the performance environment, inviting them to cross over from spectator to participant in varying and personal degrees. Seated in a grid pattern on swivel stools, each person has their own unique perspective on the performance. The audience is the set, a permanent fixture in the space – yet each member can turn independently. In this new work from Lee Serle (recent alumnus of the Rolex Mentor and Protégé Initiative) the choreographer asks: how can we expand our awareness in our daily lives and interact more meaningfully with others? So often we are spectators in life, but what if we start getting more involved, rather than just watching? Proximity, reactions and interactions – whisperings, rushes of air, the growing intensity of movement, the risk of closeness. P.O.V. blurs boundaries and shifts perspective, creating space to observe and participate – from slow dance to love-song dedication – in a geometrical but fluid space.